Since 2003, we have made pain elimination, mobility and optimal health the primary focus of our chiropractic care center. Kaufman Chiropractic is passionate about providing community members with drug-free methods of pain intervention and nervous system rehabilitation. Our practice goal is to help family members of every description and every age. We accomplish this vision through modern technology and our results-oriented treatment approach. We love to see families in our office participating in activities they cherish. Whether these activities revolve around sports involvement and playing with the grandkids, or being on your feet all day and climbing stairs, we want you to easily feel up to the task at hand. Dr. Kaufman is enthusiastic about helping those that have developed severe limitations due to pain. With the addition of technologically-advanced laser care, he has developed a treatment protocol that brings an 80% success rate. Our passion for what we do has evolved over the years simply by observing the results of our work with the people of the Skillman community. Whether the task is helping you recover from a car crash and get back to golfing, or reducing pain in your shoulder so you can throw a ball again, we feel fulfilled on a daily basis by knowing we can make a difference. 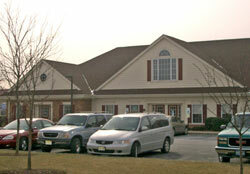 Our practice is accommodating and caring, and we would love to welcome you to our friendly office as a new patient. We are in-network providers, have Sunday hours and offer same-day appointments. Contact us today for a convenient booking!